I’ve been following the Danish band Deus Otiosus since 2011, when I first discovered (and wrote about) their 2010 debut album Murderer. Since then the band have released two more albums, 2012’s Godless and last year’s Rise. The band have begun work on their fourth album, which is projected for release in 2016, but in the meantime they’re releasing a special EP on May 26 via Germany’s Godeater Records. 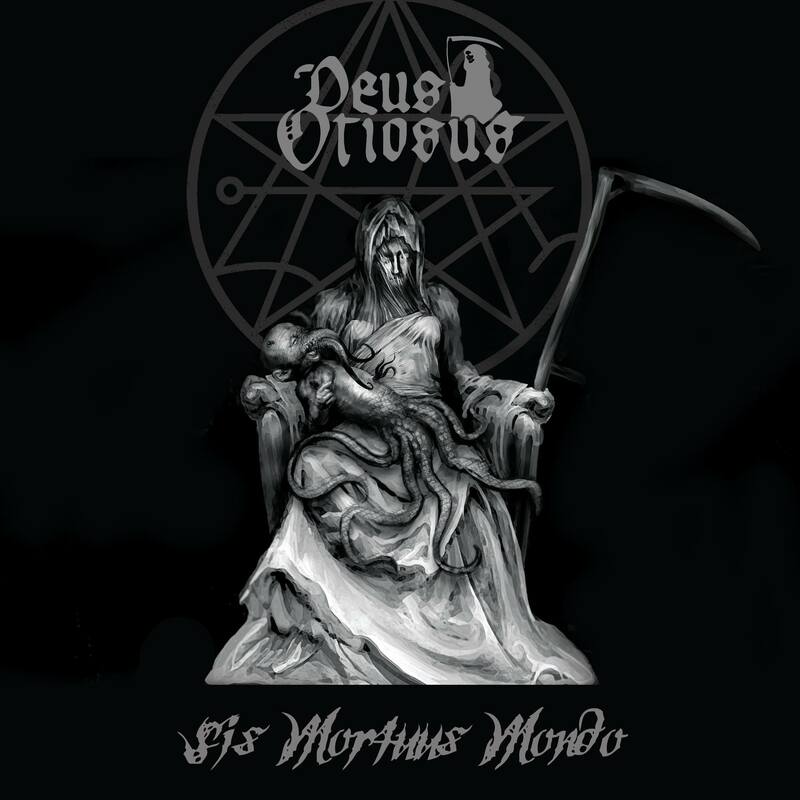 Entitled Sis Mortuus Mondo, the EP consists of two new songs, one of which is a preview of the next album and the other of which is exclusive to the EP. And today we give you the chance to hear both songs in advance of the EP’s release. “Greater Horror”, the album preview track, is a giant hornet swarm of riffs driven by deeply grooved bass-and-drum thunder, a fusion of adrenaline-pumping thrash and carnivorous death metal malevolence. There’s a lot of fleet-fingered guitar and bass flash in this head-wrecker, including some incendiary soloing. It romps and then it staggers and then it jams the pedal to the floor again just in case it hasn’t already succeeded in tearing your head off. The follow-on song, “Seperatio Leprosorum”, is a grim and grisly mid-paced golem march, more loaded with the sulfurous stench of the grave than the EP’s opener. But it’s also got some sweet, ghoulish riffage going on that’s bound to get your head moving, and the song’s morbid melody is going to get stuck in what’s left of your head after the band finish pounding on it until it splits like rotten fruit. 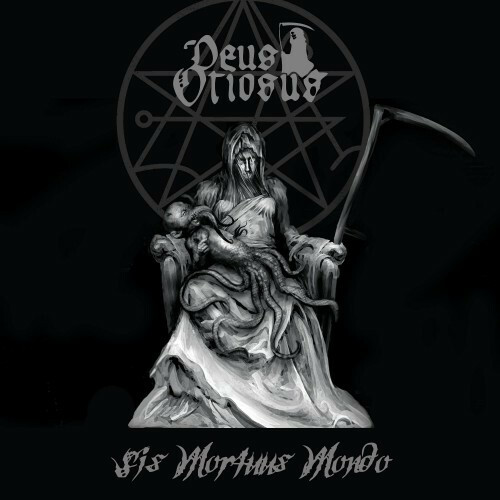 Deus Otiosus continue to do sick, twisted, and infectious death/thrash very well indeed, with a clarity of production that befits the skill of the performers without sacrificing the skull-cleaving force or sinister atmosphere of the music. Sis Mortuus Mondo will be released both as a CD and as a digital download. The CD version will include the band’s entire debut album Murderer as bonus material, since the original CD version of that album is sold out. The cover for the EP was drawn by Copenhagen-based artist Claude Wit, who also created the cover art for the last year’s Rise album. Damn, this stuff is killer.